Introducing the new mobile app for Thai Edge. 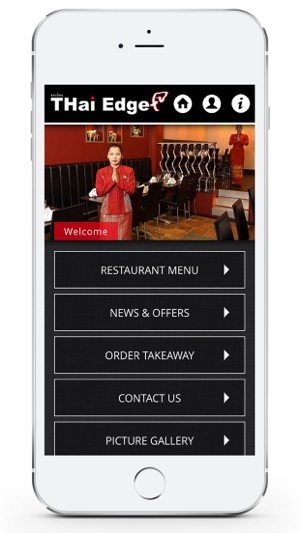 From viewing our menu to ordering takeaway straight from your phone, this app will not disappoint. RESTAURANT MENU - View the latest menus at Thai Edge, from our Thai menu to our Japanese dishes you’ll be spoilt for choice! OFFERS & NEWS - View all our in house offers and latest news. 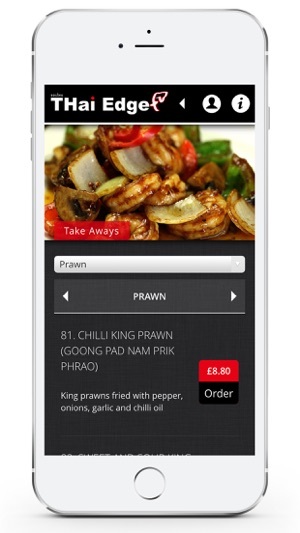 ORDER TAKEAWAY - Flick through our menu and simply tap to order. BOOK A TABLE - Easily reserve yourself a table at Thai Edge. CONTACT US - Opening times, contact details and how to find us, all at the tap of a button. PICTURE GALLERY - View quality pictures of our restaurant and some of our dishes.